Your Glens Falls Wedding, Saratoga Flowers Delivery, Or Corporate Flower Arrangements At Meme's! For Albany to Glens Falls Wedding Planning, Saratoga Flowers Delivery & More, Contact Meme's! Looking for beautiful bouquets for your Glens Falls wedding? Want to send someone in Saratoga flowers? Need arrangements for your office, or corporate gifts for your business clients in California or London? At Meme's Florist in Corinth NY, we look forward to serving you for all of your floral and gift needs. 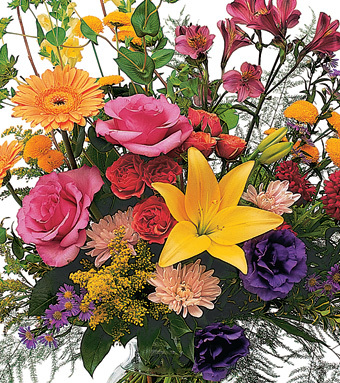 We want to be your first choice among Glens Falls, Clifton Park, and Saratoga flower shops. If you have any questions or need more information, please call us directly at (518) 654-2111, toll free at 1-866-243-6862, or use the form below to contact us by email. We are always here to serve you and make your shopping experience with us a pleasure! Please submit any questions or comments below. Shop Hours: Monday to Friday 8:30 to 5:00, Saturday 9:00 to 1:00, Sunday by appointment. © 2007 All Rights Reserved. Website Design & Development by Mannix Marketing, Inc.